Most new vehicles manufactured for sale or lease to California consumers turn out to be “good” vehicles to their buyers or leasers, fulfilling their requirements of providing reliable transportation. However, be aware of the “Car Dealership Pressure Tactics”. Some vehicles will turn out to be “lemons” under our California Lemon Law. These vehicles will turn out to have operational/mechanical problems, and/or safety/use impairment issues. Can a consumer spot a brand new vehicle that may be a potential “lemon”? The answer is YES. Can consumers avoid these potential “lemons?” Yes. Do automobile dealerships often pressure the customer to “speed up” the sale/lease process and side-step important pre-sale decision steps? Yes. Vehicle’s that have a severe steering “pulling” problem noted by the consumer on the “test drive”. Vehicle’s that have paint flaws, such as “peeling” or “flaking” new paint. Also, vehicle having “panels” that do not color match to one another (example: fender does not color match door correctly) should be avoided. Vehicle’s that have doors or hatches that improperly close/latch/fit. Vehicle’s that are represented as “company demonstrators” or “executive cars” that are registered as “new”, but the consumer fails to have inspected for abuse or damage prior to signing the contract. How does the consumer avoid the “Car Dealership Pressure Tactics” of car dealerships and car salespeople, yet at the same time ensure that they properly inspect and “test drive” their vehicle choice? It’s basically a “buyer takes control” step-by-step plan. Speak with your banker or credit union on what price vehicle you can afford before you go into a car dealership. Discuss your available down-payment, payments, etc. with your loan officer so you will have a good idea what the “maximum price” car you can afford before starting your car buying/leasing quest. Any purchase price you end up negotiating that is below your “target price” will result in a lower monthly payment. Before visiting the car dealership(s), do your homework on the internet. A wealth of information is available on the internet, including factory rebates, incentives, special financing and more. Most manufacturers allow you to “build” your vehicle online at their web site, reviewing what the “MSRP” (manufacturer’s suggested retail price) is before ever going on a dealers lot! Many websites, such as www.kbb.com, and www.edmunds.com allow you to “build” a new vehicle on line with options you desire, allowing you to see both “retail” and “dealer invoice” prices. Once completing your “pre-dealership visit homework”, it’s now time to visit the car dealership. Once you have completed the time necessary to find the vehicle that is your potential purchase/lease candidate, you will need to remember this important tip: “price negotiations at the dealership can either be to the benefit of the consumer, or to the dealer”. Time=Fatigue=Pressure. The more time you spend at a dealership, the more tired you become. The more tired you are (as well as the emotions involved in the car buying experience) the more fatigued you become, and the dealer then takes control. If you find that you are feeling tired, fatigued or “pressured”, STOP. This is where the buyer can take control. You can choose to halt the negotiations/sale process for some “breathing room”. This is a good time to consider returning on another day to the dealership. A simple refundable deposit check is all that is necessary to “hold” a vehicle so you can come back another day to continue the negotiating/sale process. There is a big difference between signing a contract (completed sale), and simply leaving a refundable deposit to “hold” the particular vehicle you are interested in. What if the vehicle has a rebate and/or special financing, that is ending the day you find your vehicle? This is a situation that requires you to make choices. These choices are up to you. What if the dealer “pressures” me with “this price is only for today” or similar verbal sales tactics? Figure it this way, if the dealer can sell it to you for “X” price today, what makes tomorrow any different? Answer: nothing. If the dealer attempts to talk “rebate ends” or other tactics, the rebates have nothing to do with the “selling price” that the dealer is negotiating with you. The rebate is taken after the vehicle purchase price, tax and license are computed. Don’t fall for this old dealer pressure sales tactic. Remember, no one is handcuffing you to a chair at the dealership. You can get up and leave at any time. The buyer is in control until or unless the buyer chooses to allow the emotions (or the dealer) to control the sale. Keep in mind this is a business/monetary transaction. You are exchanging money and/or a financial obligation in return for motoring transportation. If you treat it as such, and not a “spur of the moment” or “pressured” same day decision, you will likely end up being happier with your purchase/lease decision. 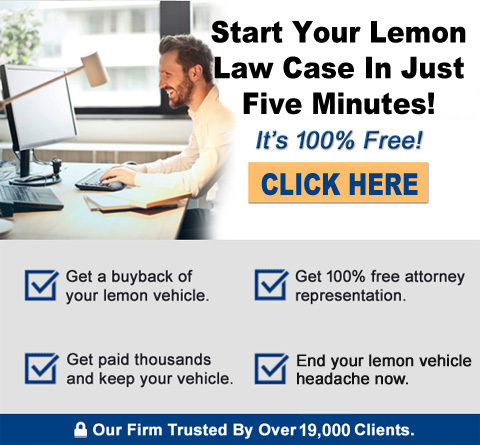 Once you have decided upon and have completed your vehicle acquisition, and if it for some reason the vehicle turns out to be a “lemon”, you should contact a qualified lemon law attorney.